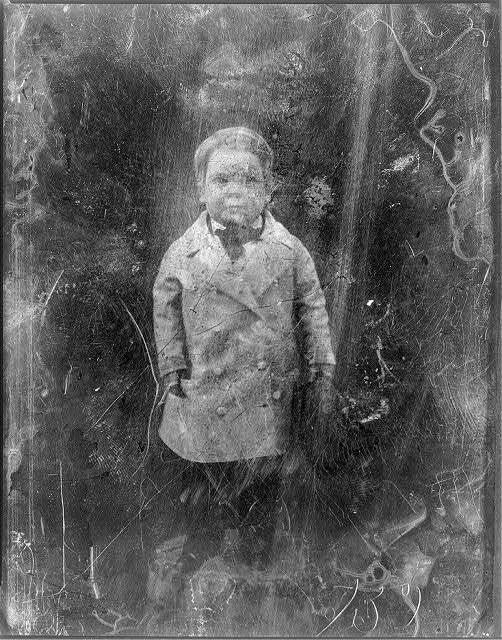 Charles Sherwood Stratton was the four year old son of a Bridgeport, Connecticut, carpenter in 1842 when P.T. Barnum "discovered" him and transformed him into General Tom Thumb, an eleven-year old European marvel. Barnum trained the child to sing, dance, and imitate famous persons. Under the guidance of Barnum, Tom Thumb performed at the American Museum and toured the world as one of the best-known midgets, until his death in 1883 at the age of 46. Barnum reaped enormous profits from exhibiting a number of "human curiosities" (like Tom Thumb), whom he presented ostensibly for their educational and scientific value. While offensive to today’s sensibilities, exhibitions of people with disabilities or who otherwise deviated from what the majority considered normal were not uncommon in mid and late nineteenth-century popular culture. Photograph: Charles Sherwood Stratton (‘Tom Thumb’), courtesy of the Smithsonian Institution, National Portrait Gallery. At age four Charles Sherwood Stratton became General Tom Thumb, an immediately popular attraction at Barnum's American Museum. This daguerreotype, produced by Mathew Brady's studio, shows the young Stratton in full-length portrait, standing on a table. From the Prints and Photographs Division of the Library of Congress. This illustrated pamphlet promoted the life and marriage of Charles Stratton, known as Tom Thumb, and Lavinia Warren, two "human curiosities" exhibited by P. T. Barnum at the American Museum. Barnum’s active promotion made first Stratton and then Warren celebrities, and their February 10, 1863, wedding, including the lavish gifts given to them by socially prominent New Yorkers, received breathless attention from the press. The pamphlet, probably sold at the American Museum and elsewhere, details the lives, courtship, and wedding of Stratton and Warren and includes lengthy excerpts from newspaper articles about their wedding. From the Disability History Museum Library. This illustration is one of several from a pamphlet on the life and marriage of Charles Stratton, known as General Tom Thumb. Stratton’s marriage to Lavinia Warren was front page news in February, 1863, and this engraving shows some of the extravagant gifts that the diminutive couple received on their wedding day. From the Disability History Museum Library. This is one of a series of engraved cartes de visite printed and sold to commemorate the 1863 wedding of Charles Stratton, known as Tom Thumb, and Lavinia Warren. Barnum exhibited Stratton and Warren at the American Museum and elsewhere, turning the pair into the best known "human curiosities" of the era. From the Disability History Museum Library. This engraving is from a pamphlet on the life of Charles Stratton, who, thanks to the promotion of P. T. Barnum, was known to the world as General Tom Thumb. While Barnum profited handsomely from his arrangement to exhibit Stratton, this illustration suggests that Stratton profited as well. From the Disability History Museum Library. The February 10, 1863, wedding of Charles Stratton and Lavinia Warren, known to the public as General Tom Thumb and his bride, occasioned voluminous press coverage not unlike the attention lavished on celebrity weddings today. This article from the Brooklyn Eagle newspaper was more critical than other coverage, however, chastising Barnum and the Episcopal clergy for allowing the crass comercialism of the heavily promoted wedding to take place in a "house of God." This newspaper advertisement promotes the Lecture Room performances of General Tom Thumb, the exceptionally small man who was born Charles Stratton and promoted as a "human curiosity" by P. T. Barnum. Audiences flocked to see Stratton dressed in the miniature costumes of famous historical figures; he also sang, danced, and described his audiences with European royalty. While the advertisement emphasizes Stratton’s performances, it also lists some of the other attractions, human and otherwise, that visitors encountered at the American Museum in 1848. This newspaper advertisement promotes the famous General Tom Thumb, who was born as Charles Stratton and first exhibited more than a decade earlier. While introduced to the world by Barnum in 1848, this 1860 advertisement indicates that Stratton "is no longer under an engagement to any individual, but gives his Exhibitions solely on his own account." This exhibition included the same elements made popular by Barnum, from the costumes and imitations to the many souvenirs available for sale.